Oriflame Face Masks - Cherry Colors - Cosmetics Heaven! 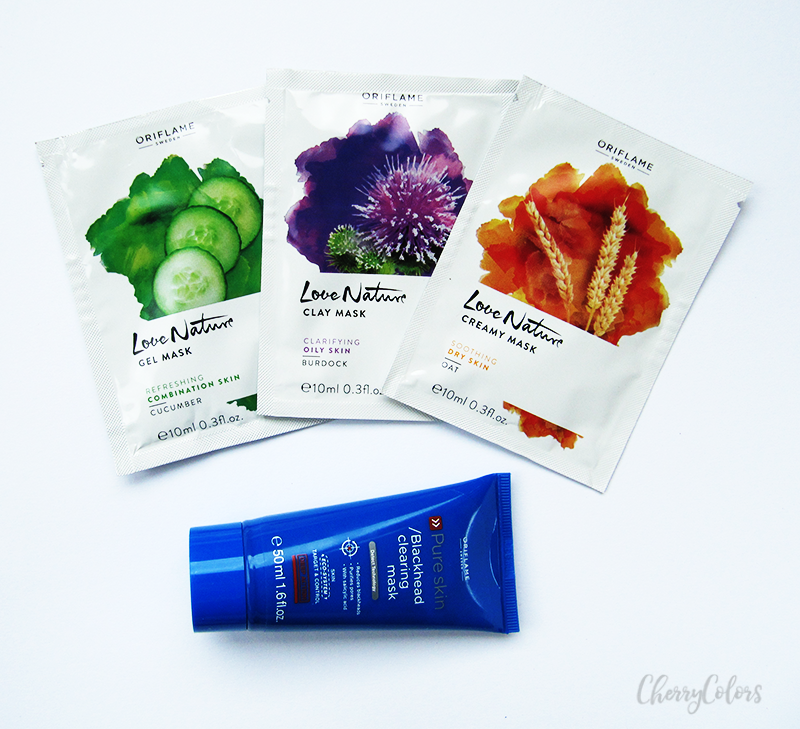 Some time ago, I received a couple of Oriflame masks for review purposes. 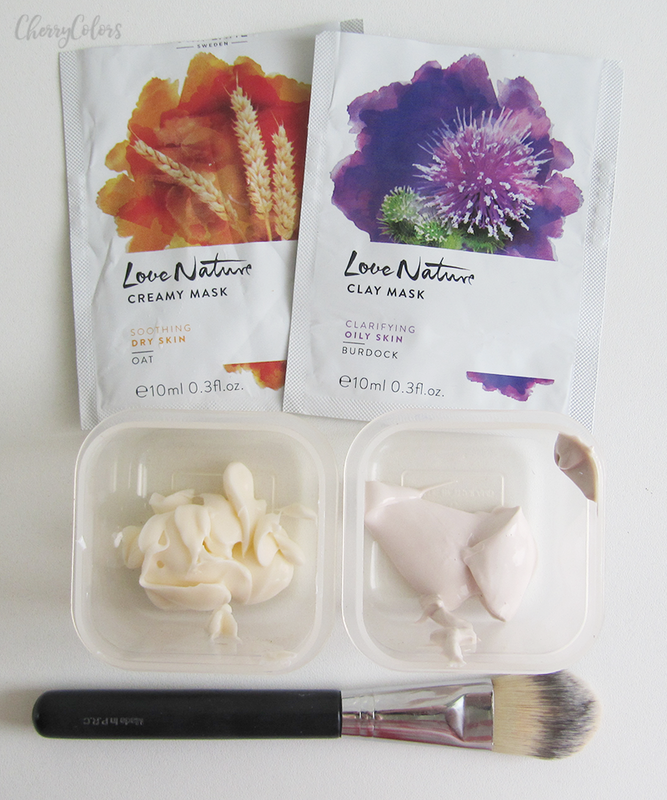 Three of them are the new one to two uses Love Nature masks that target several different skin types (dry skin, oily skin, combination skin). And also a blackhead clearing mask that is very harsh but I was planning on using it as a spot treatment. How did it go? Read on. 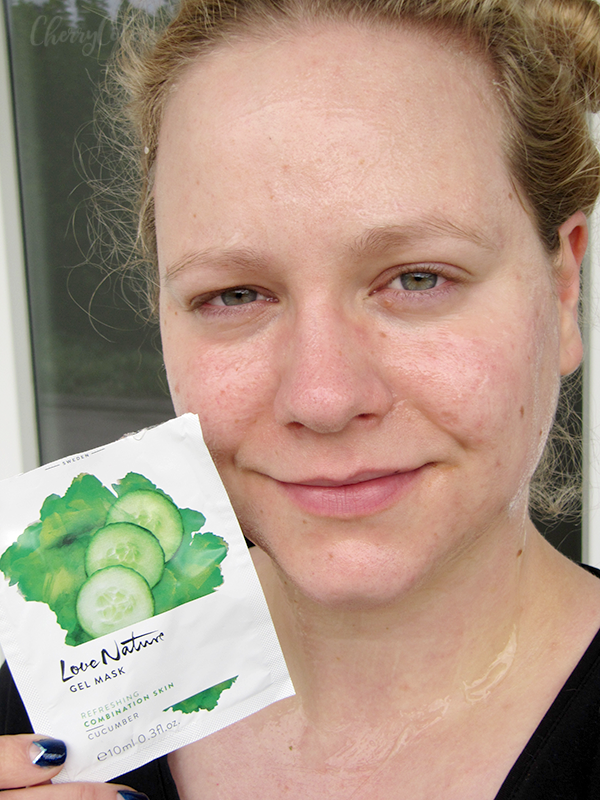 Refreshing, cooling gel mask sachet with natural cucumber to revitalise the skin. 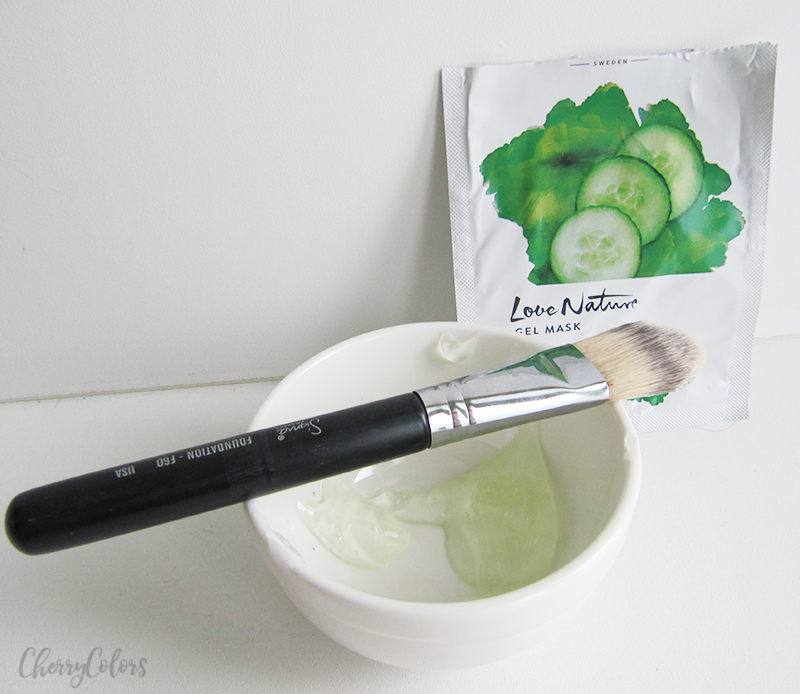 Cucumber extract is rich in vitamin C and helps to hydrate and invigorate. Suitable for combination skin. Dermatologically tested. This was the first mask that I've tried. I have combination skin which is sensitive, so I was hoping it would do something for me. The instructions are easy - you apply it and leave it on for 10 minutes, then wash it off with lukewarm water. The first thing I noticed was the scent. It was very true to life cucumber scent. Not very artificial and also very pleasing. But I couldn't say so for the mask itself. It was a bit painful to use - some itching/burning sensation that later went away. The end result? My skin was super relieved when I removed the mask. I also got softer skin after it. But I don't think I'd repurchase it or re-use it if given the chance. Clay mask: Cleansing, re-balancing clay mask sachet with burdock to clarify the skin. Moisturising burdock extract is rich in plant tannins that cleanse and purify the skin. Suitable for oily skin. Dermatologically tested. Creamy mask: Comforting, nourishing creamy mask sachet with natural oat to soothe the skin. Oat extract is rich in B vitamins which leave skin feeling soft and supple. Suitable for dry skin. Dermatologically tested. Here I went with a combination of both masks since I don't exactly have dry or oily skin, just several patches of skin with such properties. 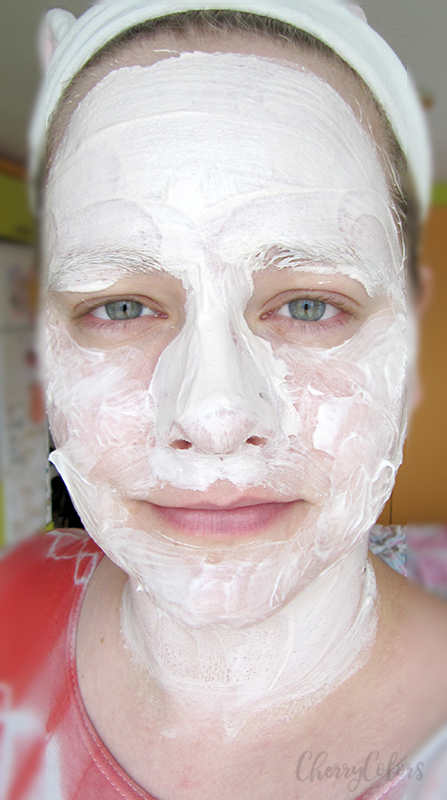 I applied the mask for dry skin on my cheeks, around my temples and on my jaw. The mask for oily skin was applied on my nose, forehead, and chin. Since the instructions are the same on all the masks I had no problem waiting out the 10 minutes. 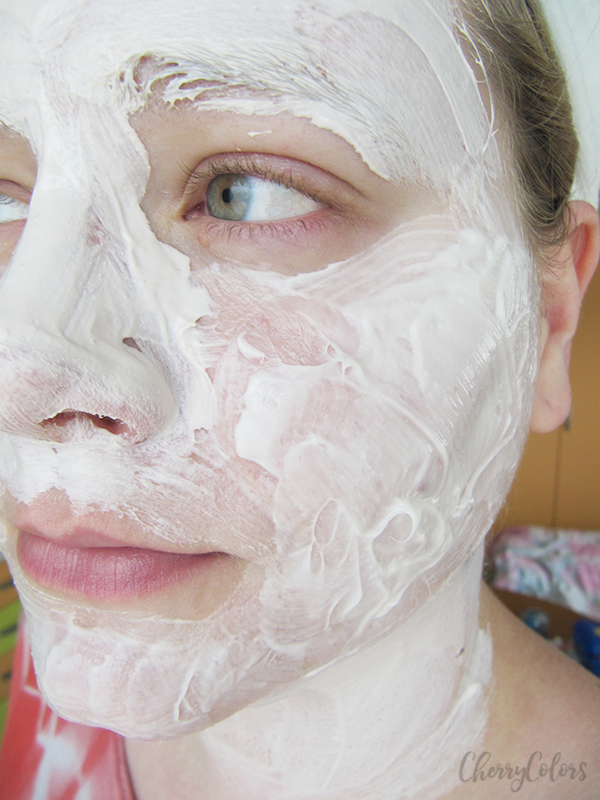 The cream mask has a lovely consistency which I enjoyed and so did my skin. But the thing I found problematic was the scent. Super sweet/fruity scent that is overpowering. I had to stay outside so I could survive the scent. The clay mask has an ok scent, a bit Lavanda-ish but bearable. It did well for my oily areas. Of all the three masks in the packets I would repurchase only the cream mask which is lovely. But I wish they would do something for the scent. It's way too strong, blegh! These come priced at 1,49€ per each which I find okay. It's easier to put a couple of these in your pamper travel bag than to take a full bag of big products with you. And as the last mini review, here's the Pure skin mask. Deep Action Mask with antimicrobial Salicylic acid and Detect Technology to reduce and prevent blackheads and spots. Purifies and tightens pores, and controls shine. Use 1-2 times per week. I was warned that this may be way too harsh for my skin. That I probably don't need it. But I insisted. I wanted to see if I could use it for spot treatment. But yes, it's very strong. I used it on a couple of acne (3) and left it on for the recommended 5 minutes. 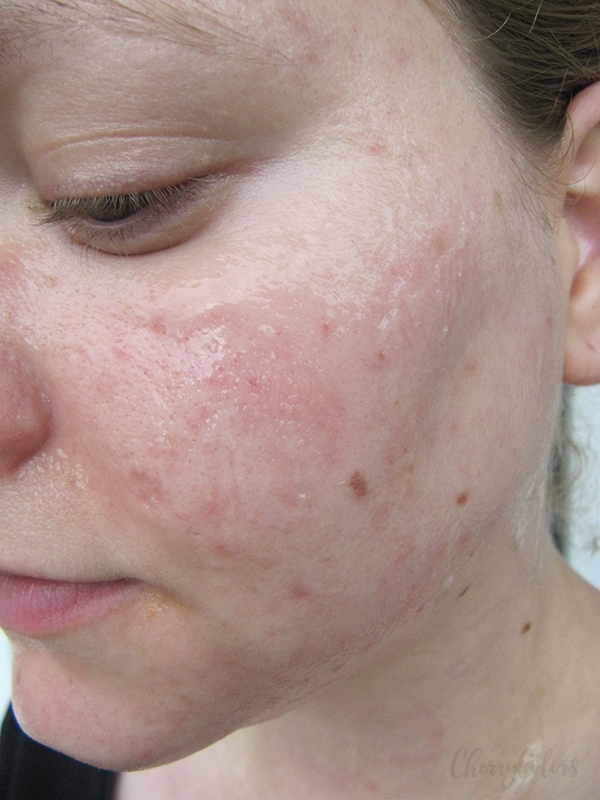 I did notice a drier pimple after it, but during the next few days, I noticed my skin flaking where I put the mask. It became so dehydrated that my skin was practically falling off in patches (those 3 where I put the mask on). Wow. That scared me so it was the last time I used it. It is way too harsh for my skin. Which Oriflame mask did you try and which one would you reccomend?